A Ravenloft supplement that contains 23 different recipes for Food and Cocktails which you can prepare yourself for your players! Start with a Deep fried crawling claws appetizer or the Azalin's Salad and finish your meal with an Intellect Devourer Flambé! But be careful! Antonia, while being a great cook, is cursed! Every meal she draws with her magical brush has a negative side-effect for the one that eats it! But don't worry! The coin has two sides! Antonia is so passionate when cooking/drawing your food that her positive energy pours into it to give it a positive side-effect as well! So what are you waiting for? Enter the Cornucopia Tavern and taste the dread! an April Fool's product. Some parts of this content are not designed for use in regular games and may affect overall balance and gameplay. Take caution when using this material. share and some interesting quest ideas. Antonia’s tavern can be found wherever the DM desires to place it. 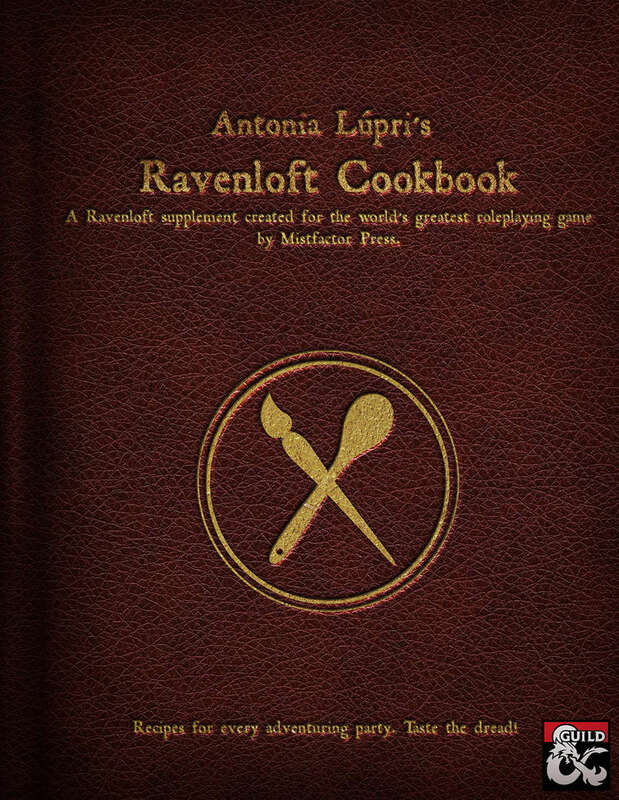 - Antonia Lúpri's Ravenloft Cookbook with art made by us. - 5 Dark Cocktail recipes to taste the dread! - A menu handout for your players to order what they desire and feel like they are in an actual restaurant! - 20 Magical side effects accompanying each dish and drink.